Valantic stands for the "digital now". We show our customers what is possible in digitization today - from strategy to tangible realization. Our service portfolio includes consulting, services, solutions and our own software products in the areas of banking, customer engagement & commerce, business and predictive analytics, SAP / ERP consulting, enterprise software and supply chain management. Our recipe for success is based on our elements. The "elements" are our 800 consultants, developers and solution specialists. We organize ourselves in expert teams and competence centers at 20 locations, 16 of them in the DACH region. We are the elements of the digital Now. valantic Business Analytics is our Competence Center for "Big Data & Business Analytics" and "Artificial Intelligence". Big Data Analytics - Business Intelligence - Predictive & Advanced Analytics Are You Familiar? With us you develop and implement innovative business intelligence solutions for strategic business areas and thus design the DNA of the digital evolution. More information about Business Analytics can be found here . A professional environment with challenging digital projects with well-known customers and hidden champions. A passionate Can-Do Attitude team that welcomes you with open arms. A modern working environment with feel-good factor. Development opportunities that suit you. Flexible working hours, attractive benefits and, of course, lots of fun. novem business analytics GmbH and novem Swiss AG has been part of the corporate merger initiated by the DABERO Service Group and operates as of now under the name of valantic business analytics GmbH and valantic business analytics Swiss AG. With over 600 experts on 15 locations we belong to the fastest growing digital solutions and consulting companies on the market and provide you with customised solutions for current and future topics – in relation with our own software products as well as standard products or products without a specific product reference. 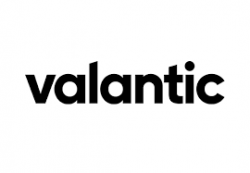 Browse through our enlarged service and product portfolio and experience valantic.